Newcastle's first and only offical Ghost Walk Tour Company ~ Haunted City Tours bringing to life the haunted History of old Newcastle since 2007 ~ Choose from various tours from family and adult only ghost walking events plus much more - How to Find Us! How to Find Haunted City Tours, Alone In The Dark Entertainment, Ghost Walk Start points! Haunted City Tours ghost walks take place in two main areas, Newcastle in the Castle Garth and Durham at Finchale Abbey. Please select which area you are visiting for directions, address and more infomation. Please note that our office is based in Gateshead but we do not accept vistors unless by apointment. We advise to have your payment infomation on your phone but we will also have your name on the door for checking in. 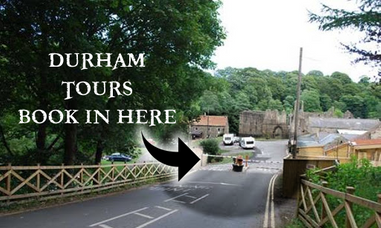 Durham Ghost Walk at Finchale Abbey starts from the old barn at Finchale, check in is at the gate, a staff member will meet you at the gate to book you in, show you to your free parking spot, toilets and tour start point. We recommend bringing a torch, firm foot ware and warm clothing.